Rei- The interpretation of the Japanese character for Rei means knowledge of spiritual consciousness. This is the wisdom that comes from God and is sometimes referred to as the ‘Higher Self’. Ki- This is the life force energy, or vital essence of the Universe. It is also known as the universal life force. It is the non-physical energy that is in and circulating around all living things. The existence of this energy has been demonstrated by the use of Kirlian photography which has the capacity to take photographs of the energy/aura surrounding living things. The life force energy is the source of life itself. Our emotions, thoughts, health and spiritual life are governed by this life force. When a person’s energy is high and flowing freely, they are less likely to get sick and are able to deal with life in a positive way. 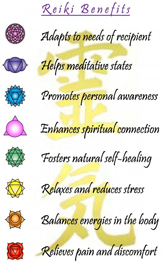 Reiki is a holistic complementary therapy and a natural healing which is centred on universal life force energy. It is open and readily available to all and anyone can learn it if they are open to it. It restores health and harmony at a deeply healing level. While spiritual in nature it is not affiliated with any religion and people from all walks of life use Reiki. It can help alleviate physical pain and is also safe during pregnancy; it promotes deep relaxation in the expectant mother which in turn is excellent for the developing baby. Reiki has been embraced by many western medical organisations. Hospices, Cancer centres, Hospitals and Nursing Homes quite often employ a therapist to carry out treatments. As in other therapies a consultation form is filled out to get a picture of the client’s health and stress levels. They will then lie on a warm plinth, fully clothed except for shoes. Jewellery may be removed also. Soft music, candles and oils may be burned to create a peaceful and relaxing atmosphere. The therapist is but a catalyst to pass on the Reiki energy. For the best outcome it is helpful if the client has an open mind and positive outlook for the treatment. Negativity and doubt create further blockages and slow down the healing processes. People who are open to Rieki are amazed by how good and uplifted they feel afterwards. 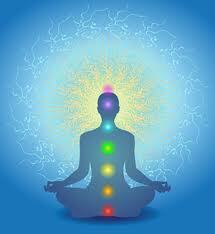 Physical and emotional discomfort creates energy blockages which puts the chakras out of balance. The Reiki energy flowing form the practitioner’s hands is a subtle energy and knows which part of the body it needs to go to. This will improve and unblock the energy flow. During this the client will usually fall into a state of deep relaxation or even fall asleep. They may feel areas of cold, heat, or tingling. Emotions may become heightened and they may feel sad, peaceful or really happy. Everyone is different and there are no right or wrong experiences. Some people feel nothing different at all, that does not mean healing is not happening, the effects of Reiki are subtle and can be felt for up to a few days after a treatment while the energy is shifting. Changes are taking place that the client may not be aware of. It is only over a period of time they will realise they feel better in themselves and more able to cope with stress and problems. 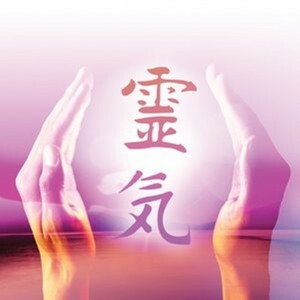 Seichem is based on and originates from the same source as Reiki. It activates the elemental healing rays of Fire, Water and Air and allows them to be channelled with the Earth element Reiki which greatly enhances the attuned healer’s potential. The combined energies work on the physical, mental, emotional and other spiritual bodies, bringing the client back into a balanced state and raising their vibration and so allowing healing on all levels to occur. Combined with Reiki it is a very powerful healing modality and most clients who have only experienced Reiki notice a big difference in the healing experience. Clients with Glo Health may be able to claim back some of their costs.